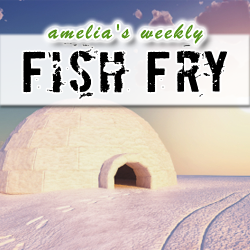 Fish Fry is headed to the land of programmable logic this week. We’re talking FPGA design tools, flash-enhanced FPGAs, and ASIC designs that won’t break the bank. We’re getting the skinny on Microsemi’s new IGLOO2 family from Paul Ekas, chatting about FPGA partitioning with Flexras CEO Hayder Mrbet, and also checking out how Triad Semiconductor can cut your mixed signal ASIC design costs down to a reasonable and career-preserving amount.